Welcome to 2018 where 500 wheel horsepower no longer impresses bench racers world wide. As car culture has moved along in the last 2 decades some have lost sight of the most important part of a car: the fun factor. This build is a great reminder of what’s important. 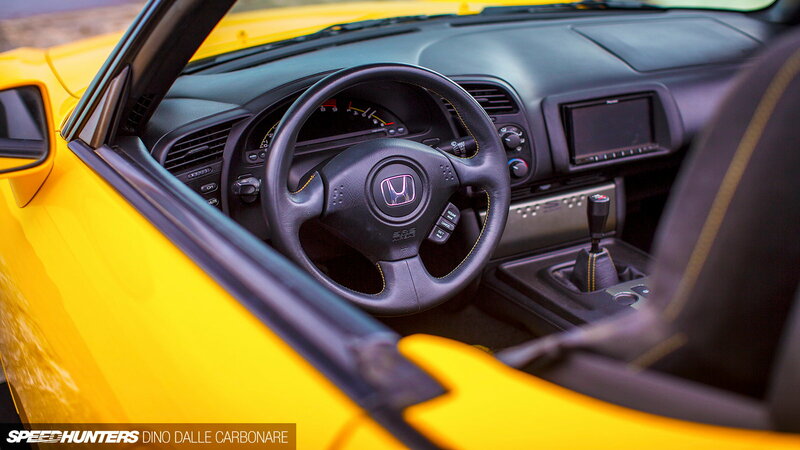 Honda made a short run of these cars from the factory with a few key upgrades. They dropped a little bit of weight and stiffened the chassis as well as removing the factory soft top in favor of an aluminum hard top. It’s a car that needs very little done to it to have a great time and go fast enough to stand the hair up on the backside of your neck. 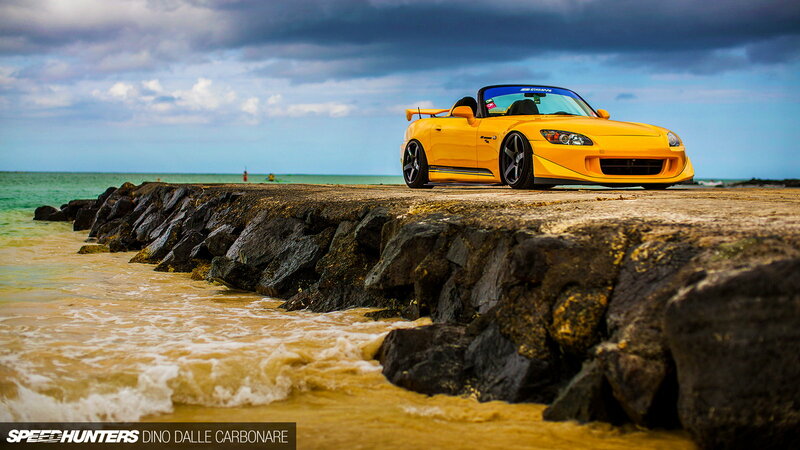 >>Join the conversation about Sara's S2000 show right here in S2Ki.com. Cars are a lot like food in that balance is key. Disrupting the feeling the factory created should be avoided on a street/track build. Rather, you should look to enhance what the factory’s engineers took thousands of hours to fine tune and hone. Sara added a simple coilover setup and upgraded ball joints to increase performance in the twisties. When it comes to wings and things the aftermarket has gotten a bit ridiculous. It’s not uncommon to see cars like the S2000 with stock levels of power sporting wings that produce loads of drag and questionable downforce. In recent years Sara has kept the car relatively simple by adding a tame front splitter and a single dive plane to each side of the bumper. No massive APR-1000 wing here. One of the best things about this girl and her car is that she goes to the track regularly. Her Instagram @sara.choi is full of pictures from Buttonwillow and various other race tracks. 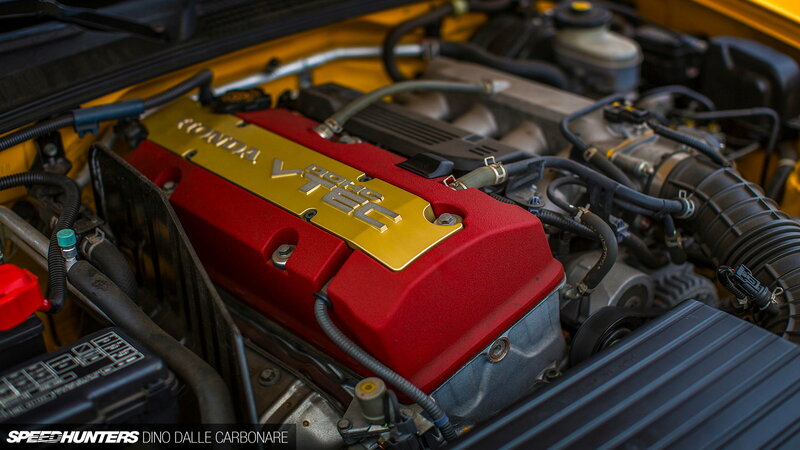 She takes pride in her car and knows what Honda built the CR for. As car enthusiasts, one of the worst things is to see a special edition race version of a sports car that is hidden away or only drive on the street.